Bert landed the biggest fish of the trip weighing at about 10 pounds. 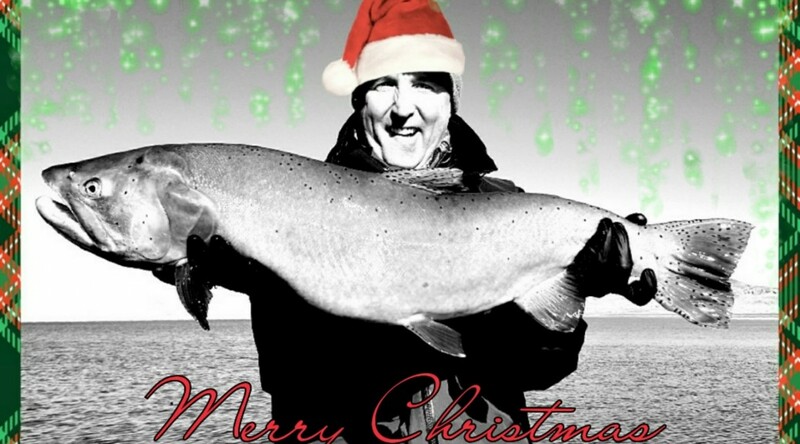 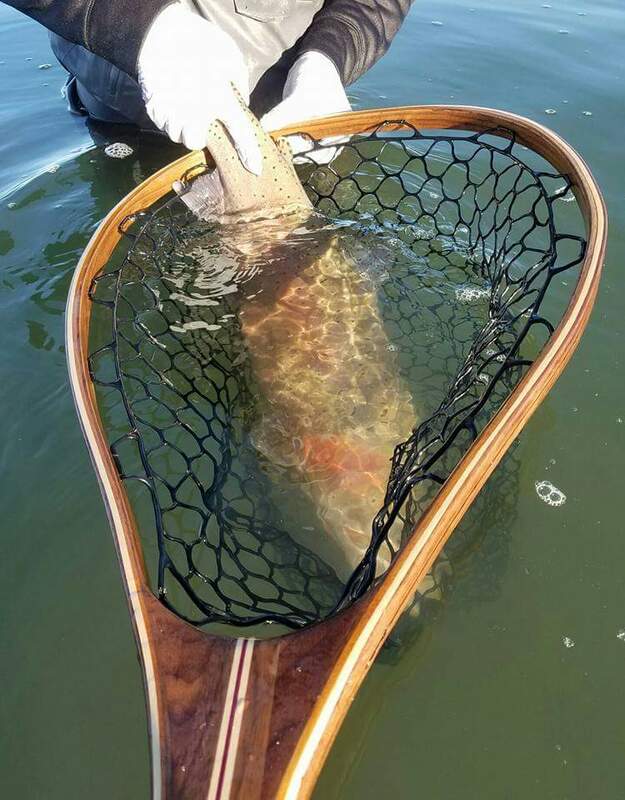 We landed the beast in one of Steve Adkins custom made nets. 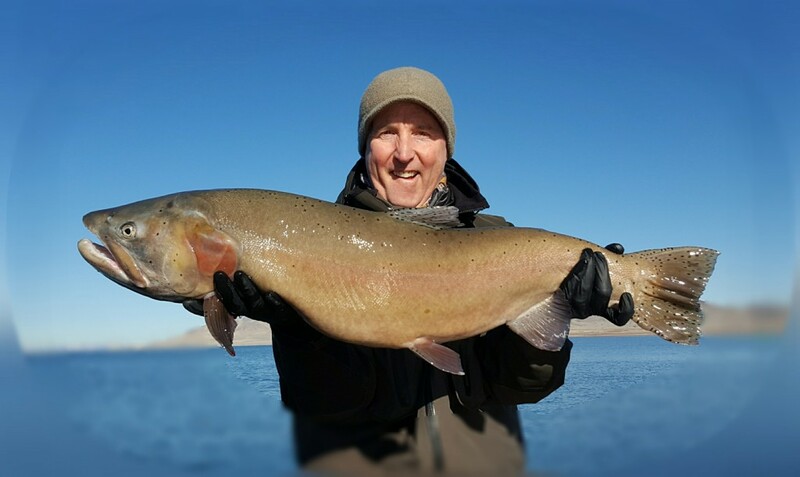 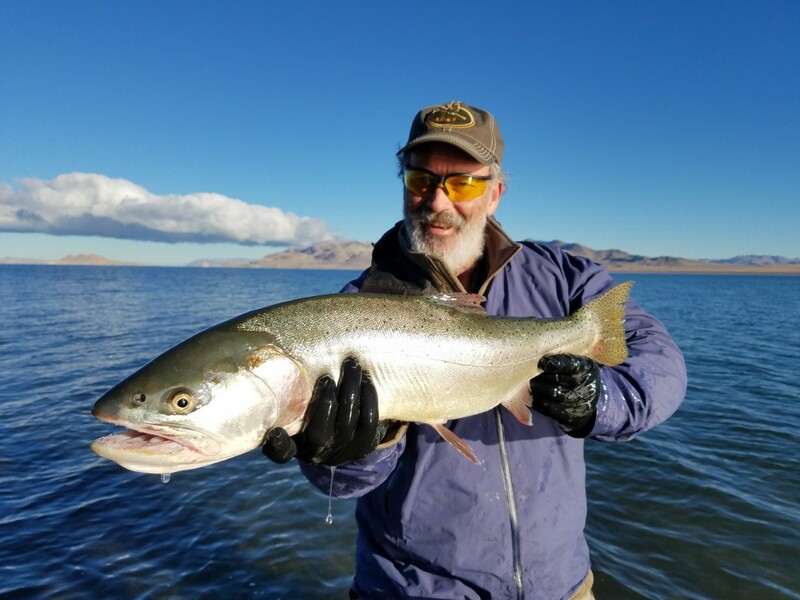 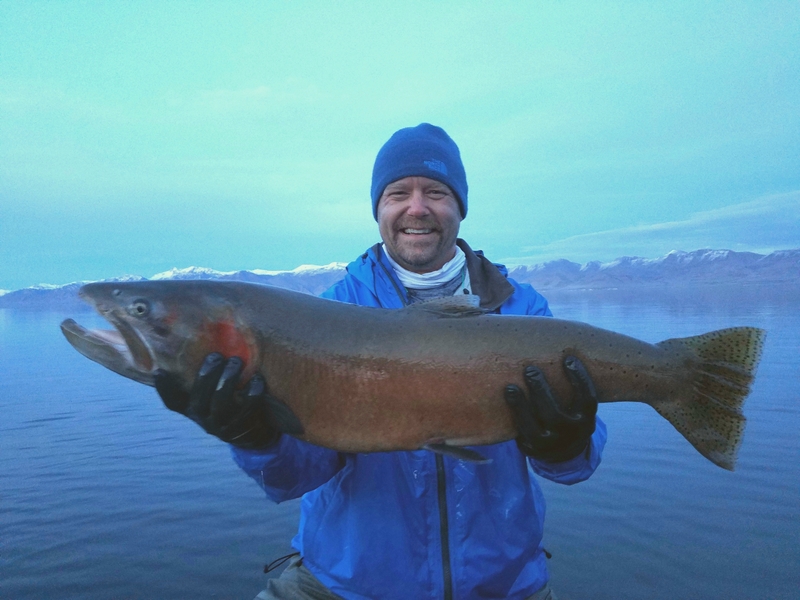 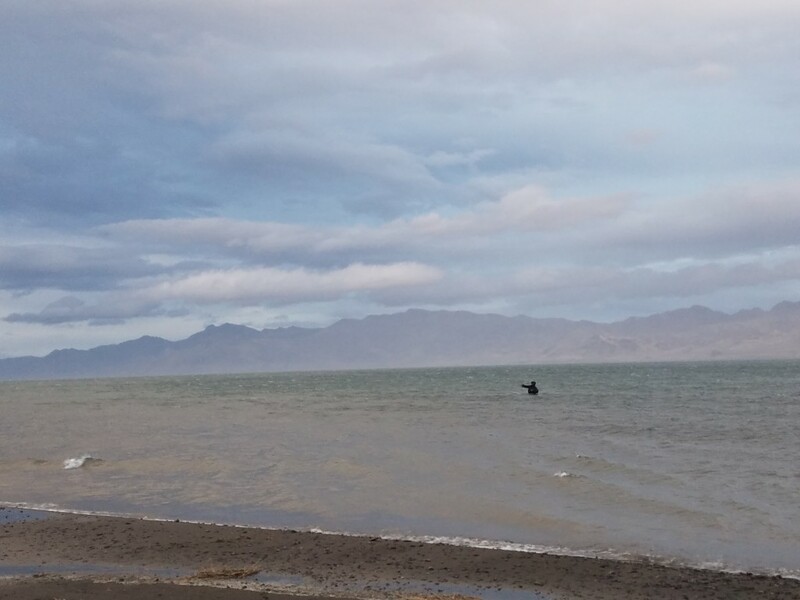 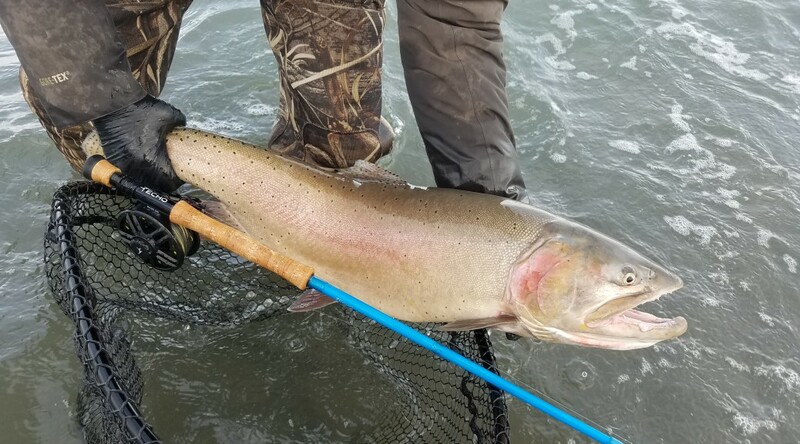 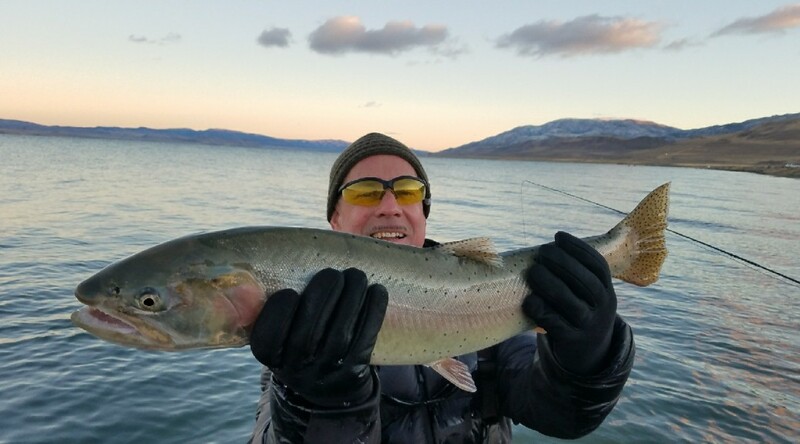 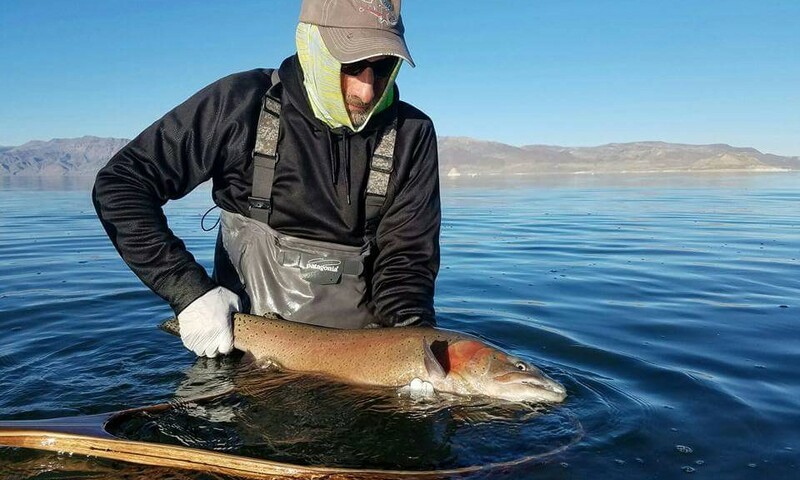 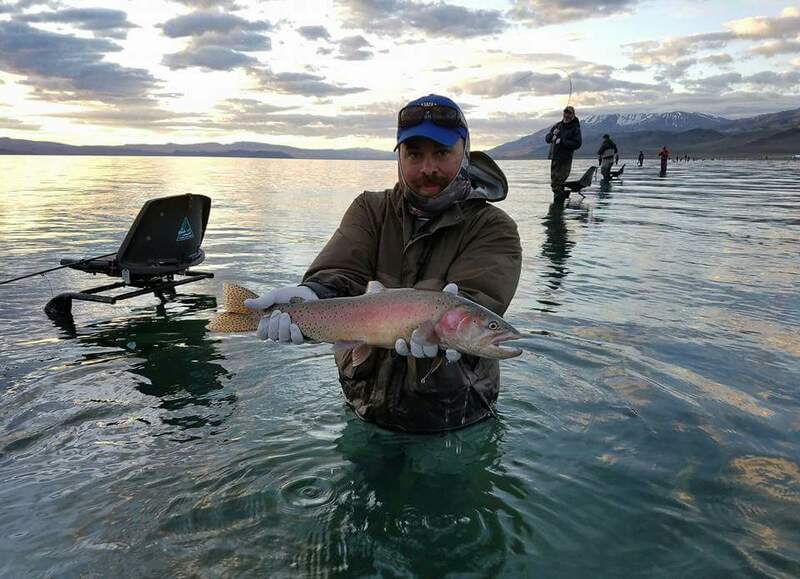 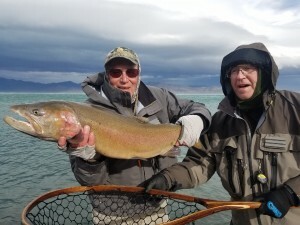 Guides Nick Jackson and Ryan Dangerfield both landed 15 pound Pilot Peak Cutthroats on Pyramid Lake Nevada this afternoon. 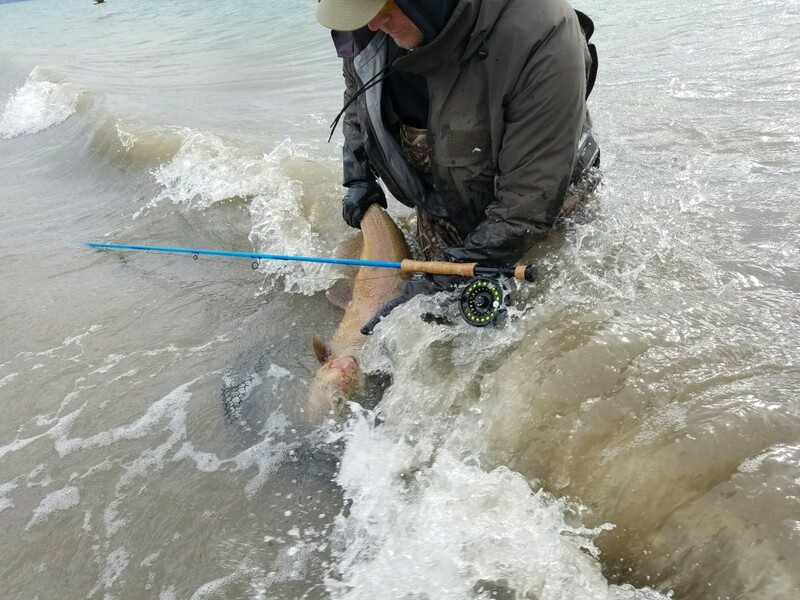 Nick was using an Echo reel and Echo Badass Glass rod. 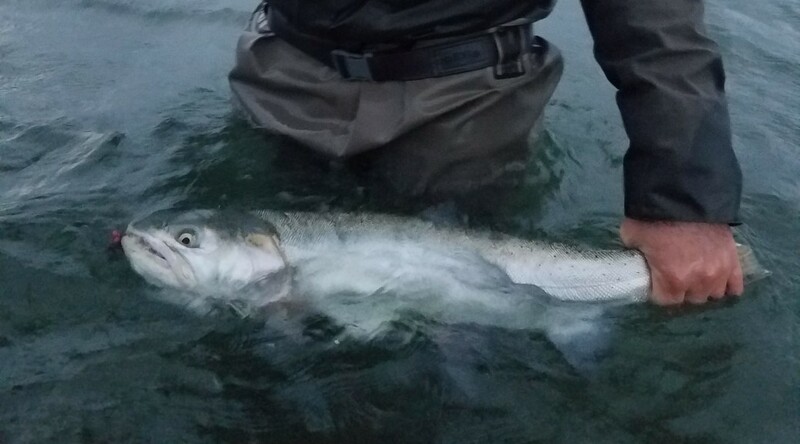 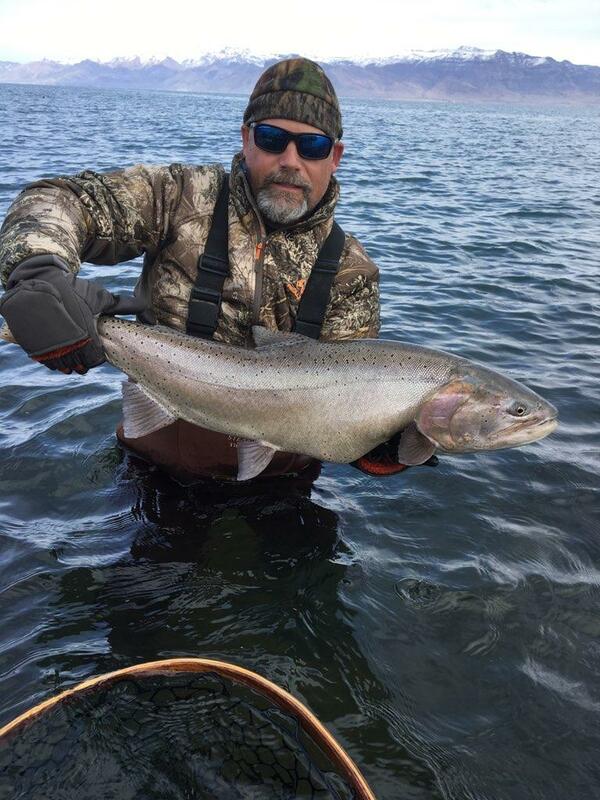 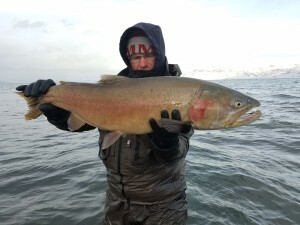 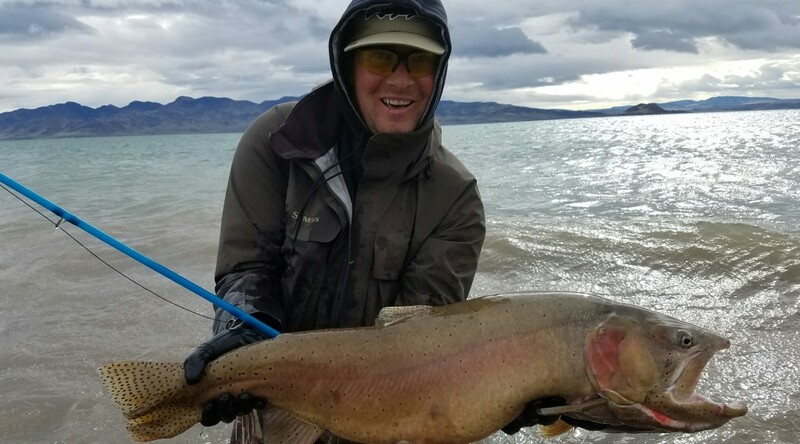 Ryan landed his massive trout on a Sage rod and Galvan reel set up. 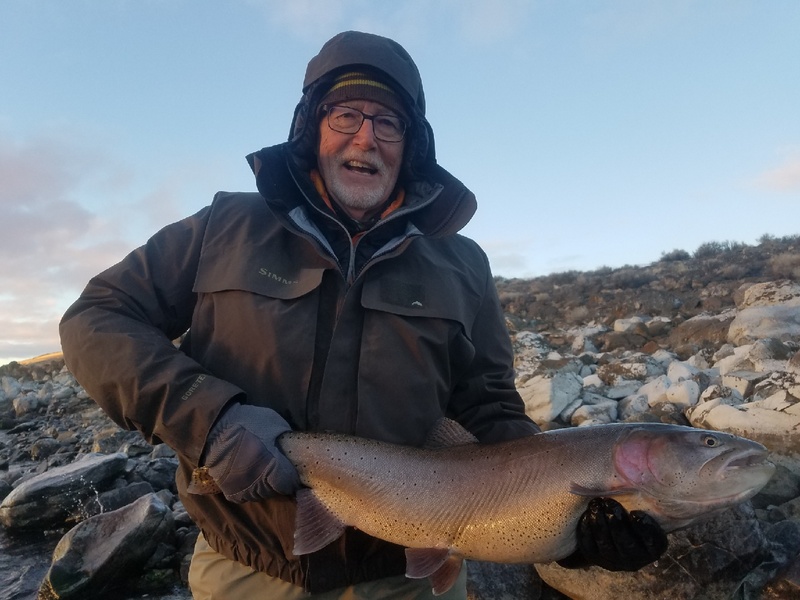 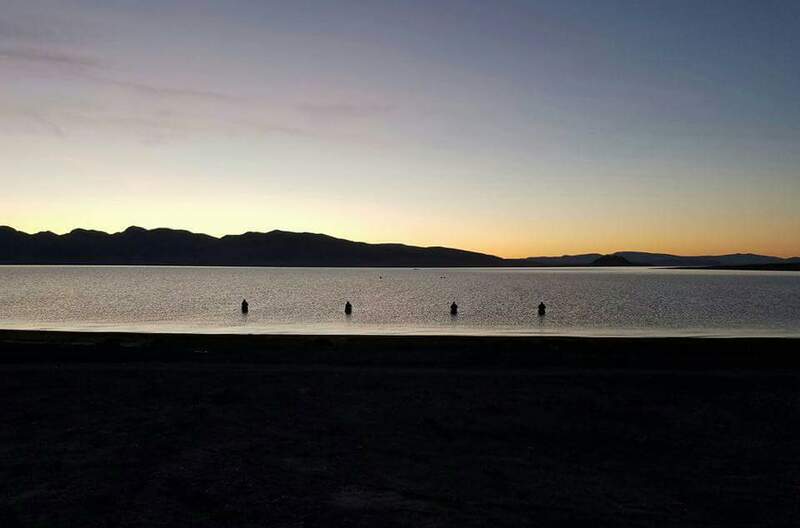 The experienced anglers were both stripping leech patterns, and landed the fish about 20 minutes apart during the magic hour just before dusk. 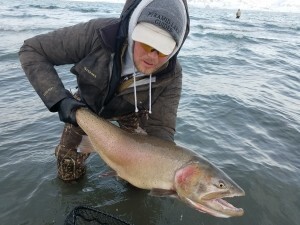 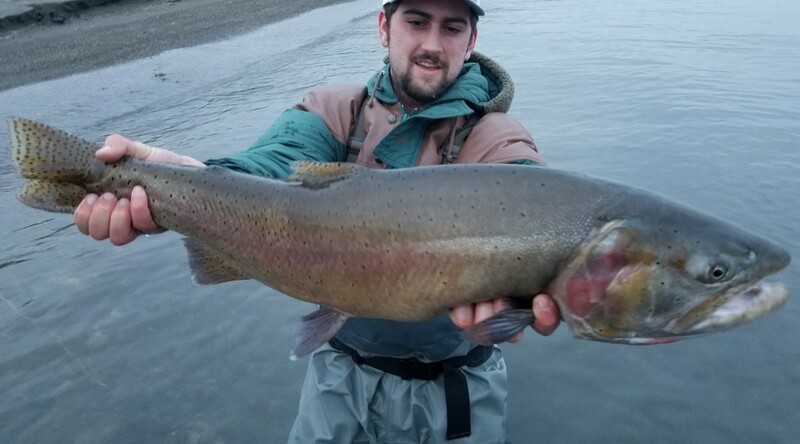 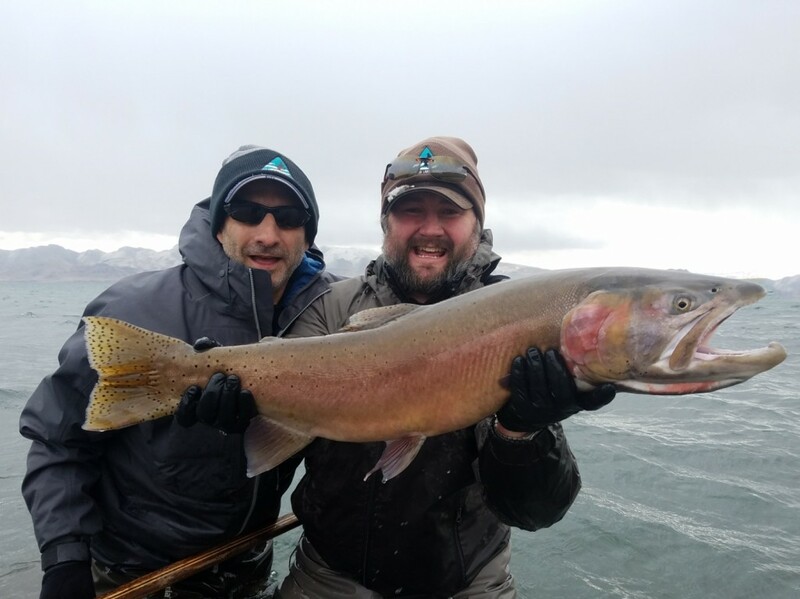 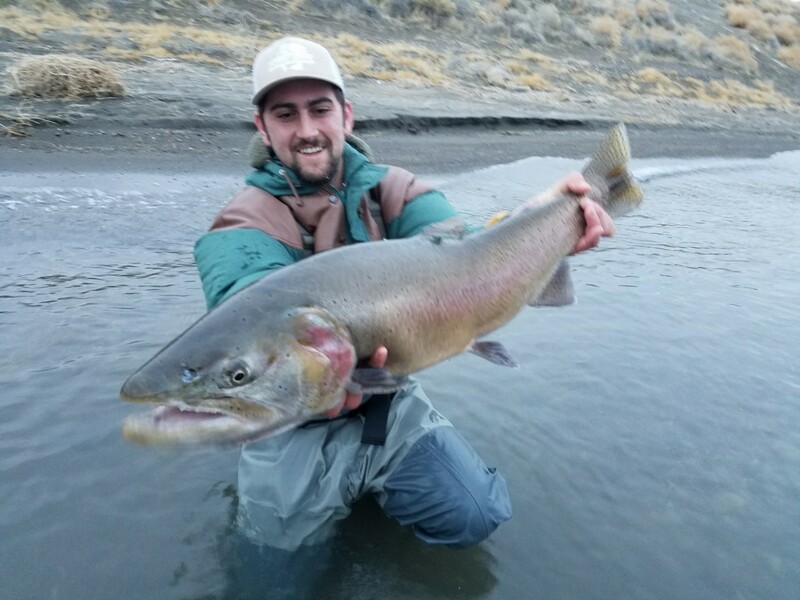 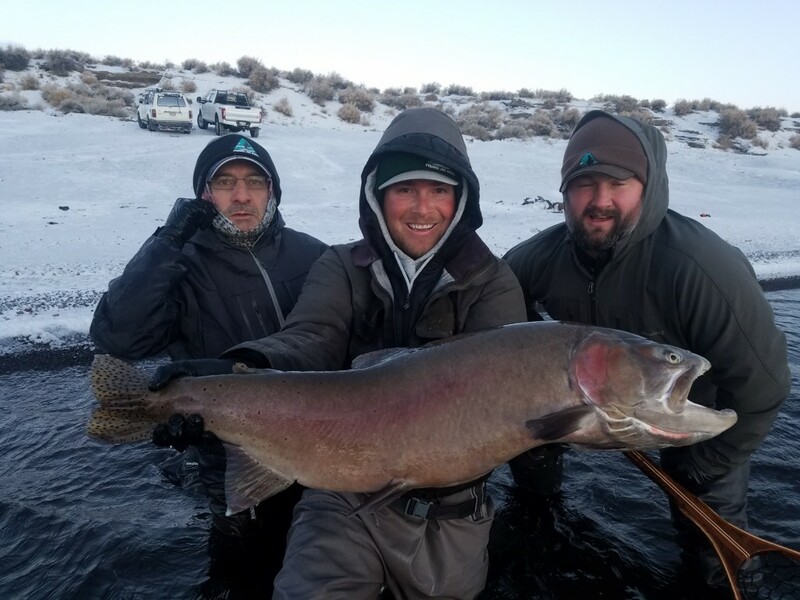 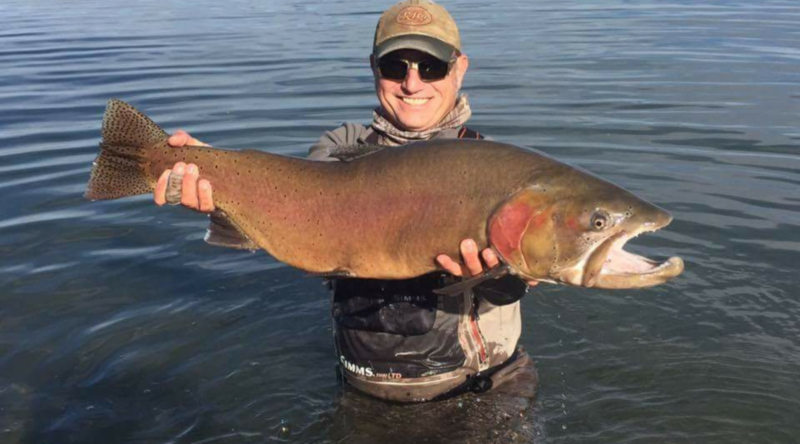 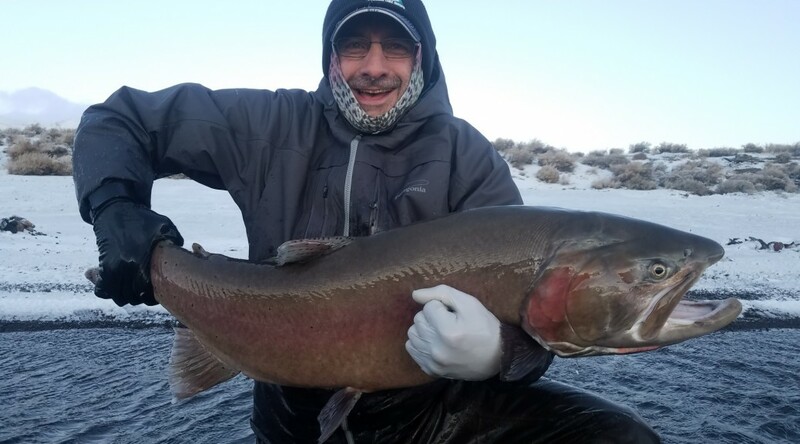 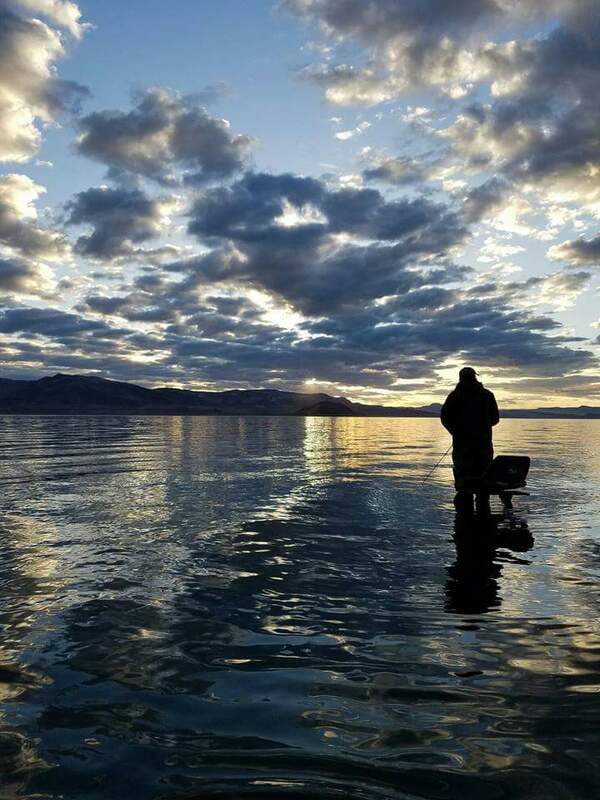 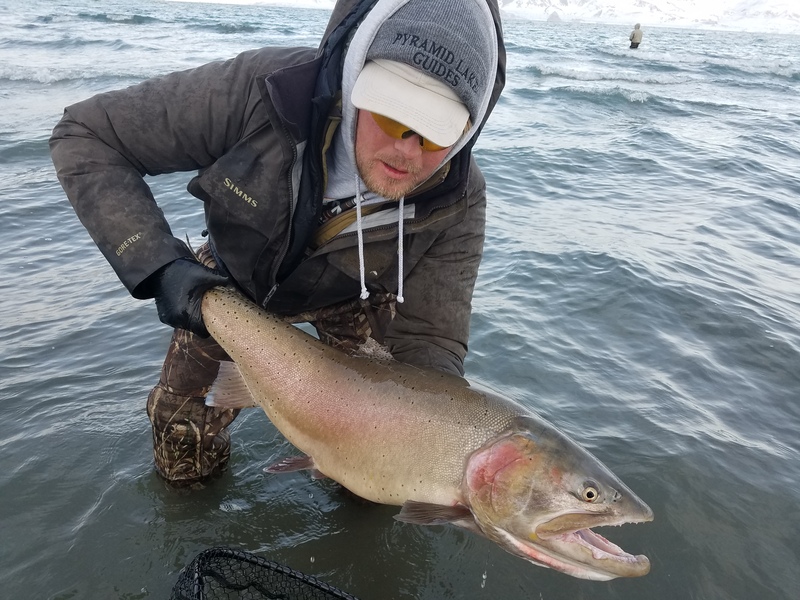 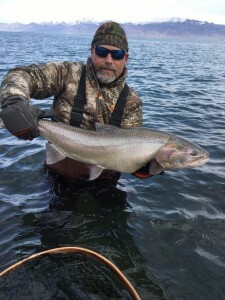 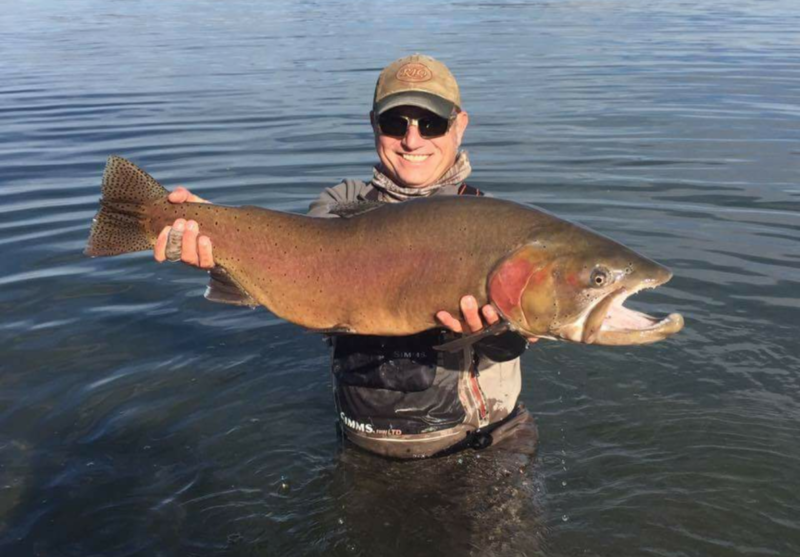 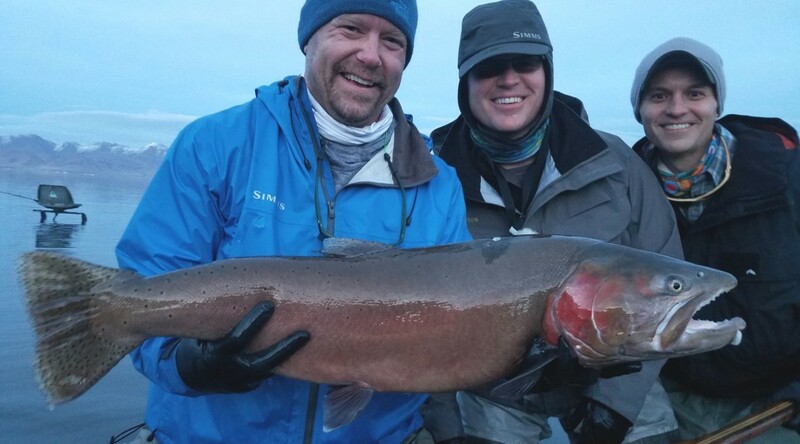 Ryan and Nick are fishing guides along side each other year round- both guide on the Green River Utah during summers then head out to Nevada for this amazing fishery in winters. 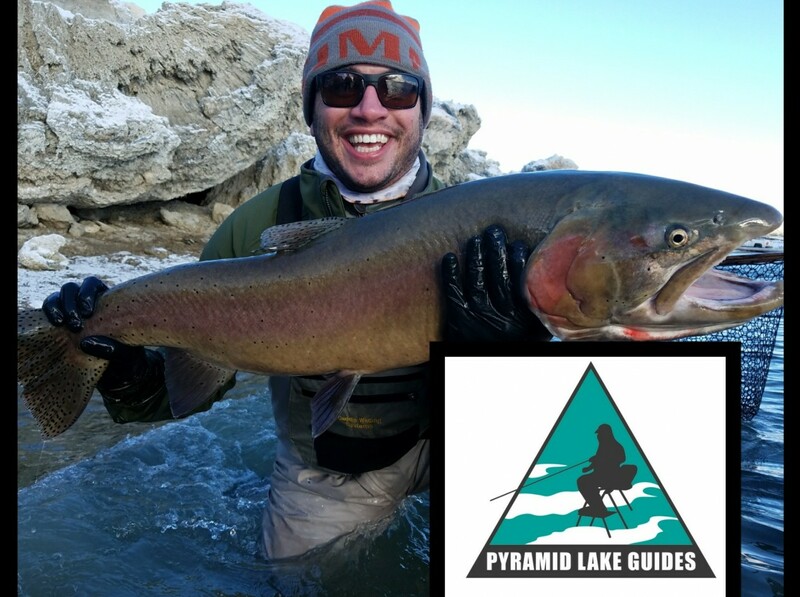 This is Nick’s 2nd season on Pyramid, and is going into season 7 this spring on the Green. 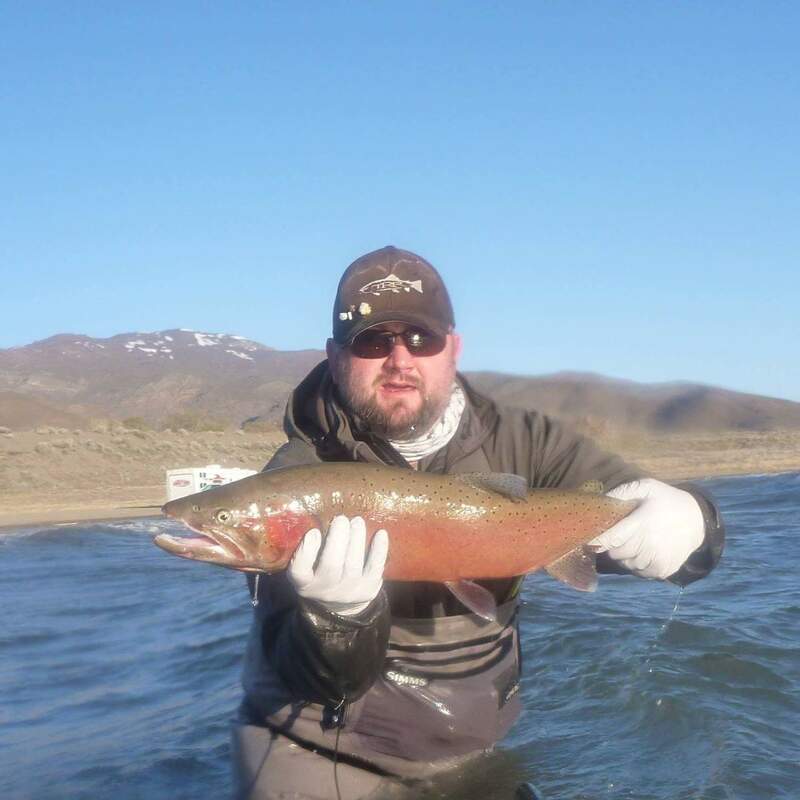 Ryan relocated to Carson City this winter to get his feet wet guiding on Pyramid, and will enjoy his 2nd season guiding on the Green come April.